Also if you're collecting pages, there are a group of bookshelves on the way to the boss rooms that have some in them. So this whole place is the Duke's Archives? 200 Fletching experience given making 10 shards into 10 bolts. Dragon. Tormented demons may become popular again. Well, time to get to training summoning then, since I have no use for yip + tackle anymore. That new dungeon looks awesome though. sounds very exciting. Nothing much on patch note.. time to get a task. 1. 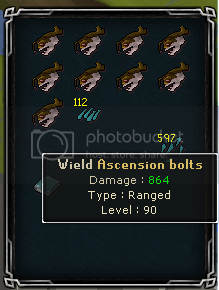 1x torstol seed 20x ascension shards 1x tertius keystone. 3. Get all six untradable fragments. 4. Get an 100m+ dragon crossbow. 5. Do an (assistable?) 90 fletch requirement. Plus, you can hardly use occb because chaotics won't use the t90 bolts. 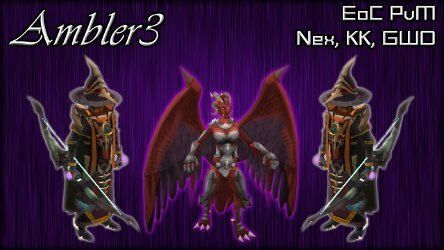 It would make more sense for these to be a boe upgrade to chaotics with tradable parts tbh. How can someone decide this was a good idea? Where does the 100m+ price tag on the dragon crossbow come from? Their price in the G.E. has been pretty variant from 20-30m for the past few weeks, when did they jump up to 80m?